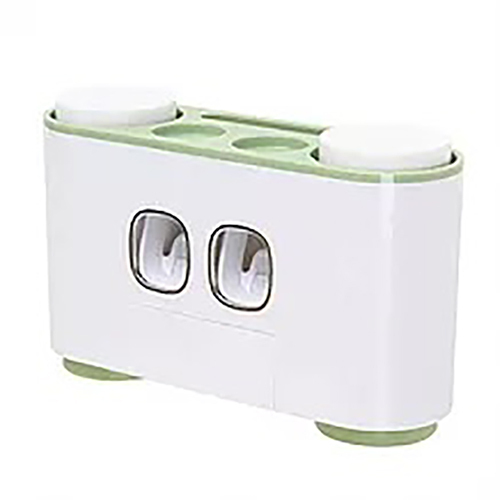 Say goodbye to the sticky, messy sink and counter. 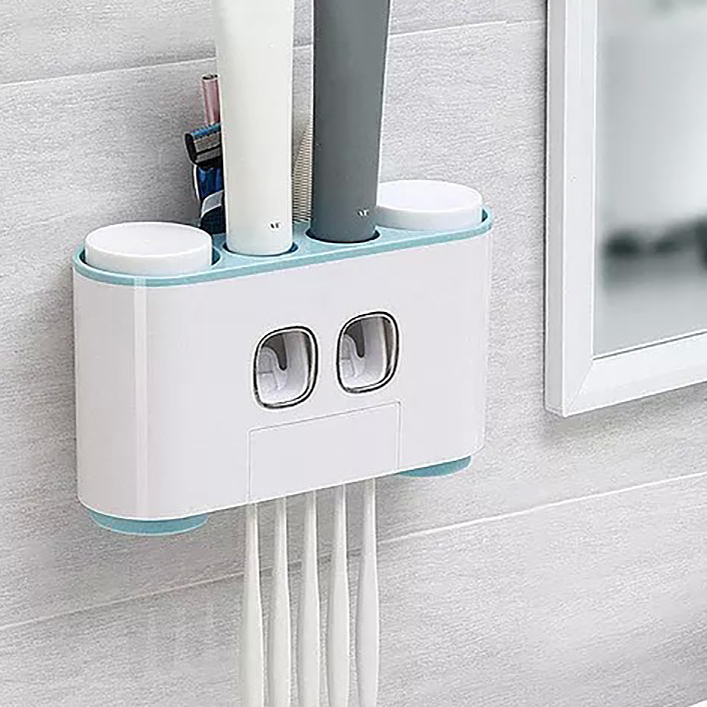 This 2-in-1 washing set is here for your convenience, hygiene and economy. 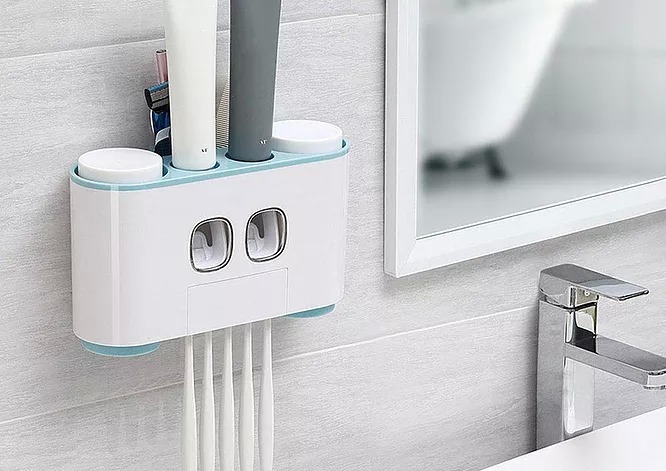 The toothbrush holder keeps the toothbrush safe and clean while the toothpaste dispenser pumps out the last drop of toothpaste. 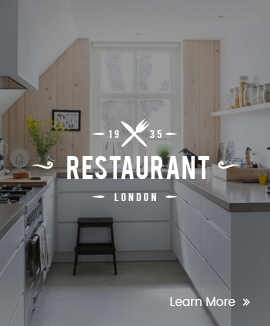 Suitable for both adult and children. 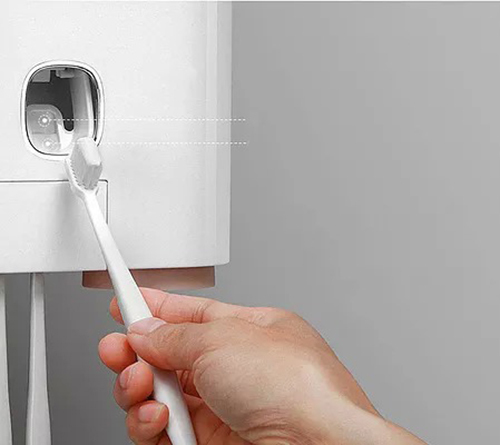 Clean and Hygienic: The flip-top hanging toothbrush can prevent dust from falling on the toothbrush. 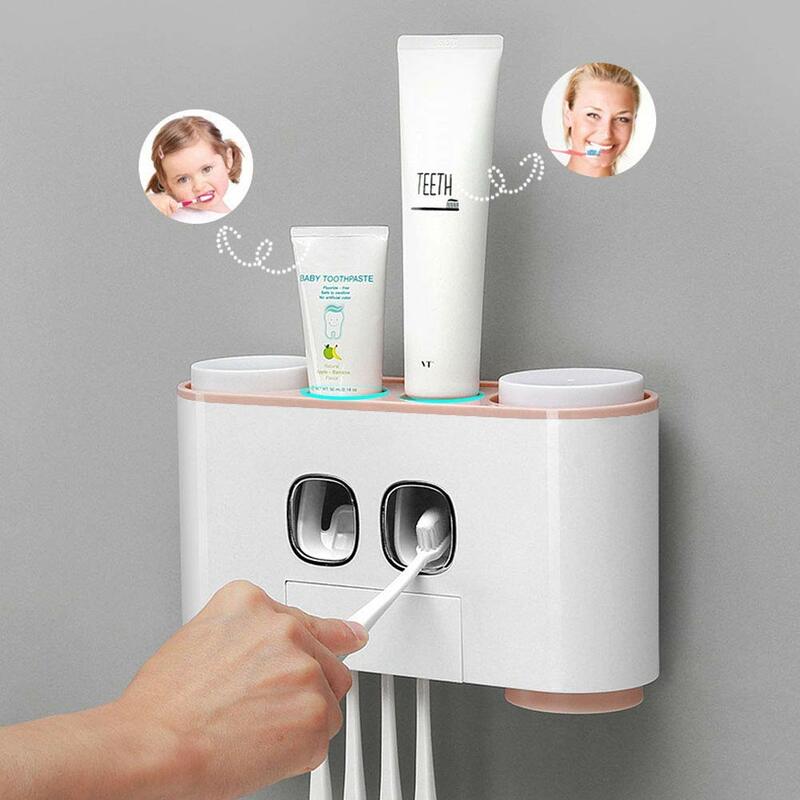 Automatic Dispensing: The dispenser squeezes the perfect amount each time, preventing waste of toothpaste. 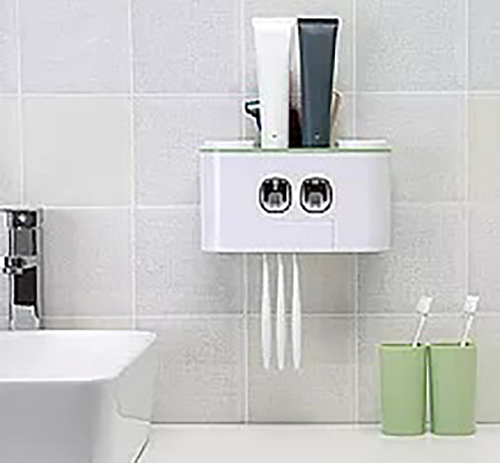 Super Suction: keep your toothbrushes safe and secured on the wall. 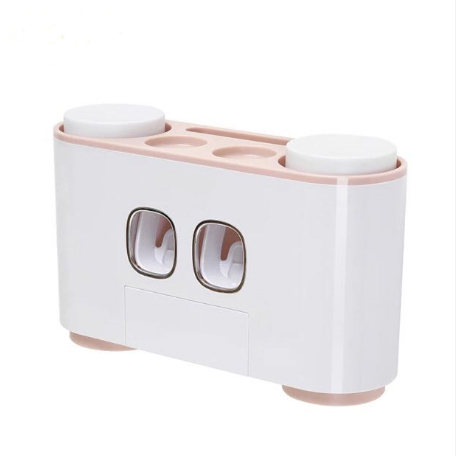 Easy to Clean: can be disassembled and cleaned easily. 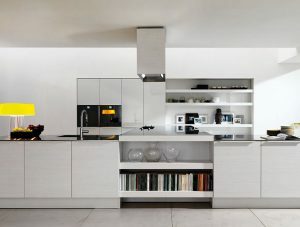 After sales service: We value you and your business just like our own. All inquiries are answered within 24hours. 1. 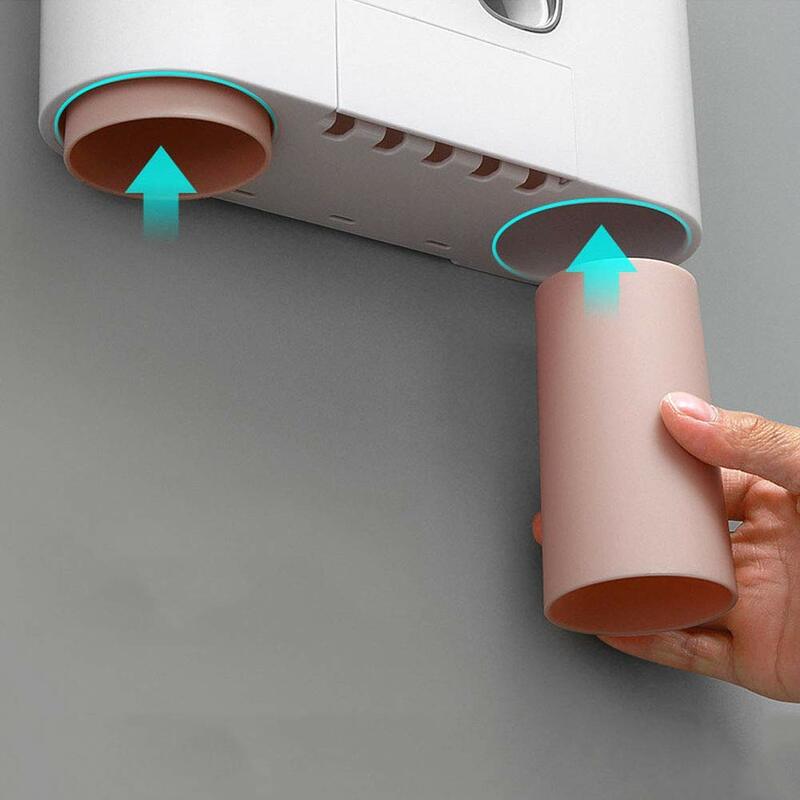 Clean and dry the place where you want to install. 2. 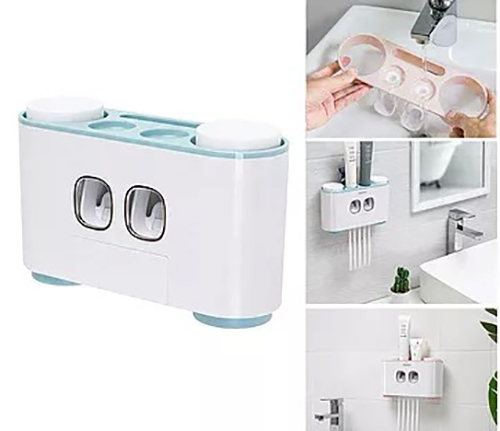 Peel off the adhesive pad and mounted it onto wall or mirror (please install the toothpaste after the dispenser is mounted for 24 hours). 3. Load the toothpaste tube into the pump and make sure it is installed well without shaking. 5. Please try to push several times when first use. Sign up for subscibe our newsletter ! Enter your email to receive our latest promotions and coupons. Make sure you receive all the latest deals & promotions from Lamians!